Hitting the age of 72 is no easy task and I'm sure, the next number of birthdays will probably be even less easy. But why hurry the process? Aging doesn't mean you should ride slowly into the sunset like a withered old cowboy. They say, "keep them joints moving and keep riding as long as you can!" 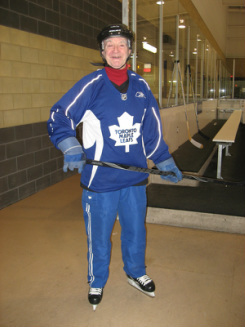 So lately, I've found a group of older gentlemen, seniors who play hockey...hockey at their own pace! 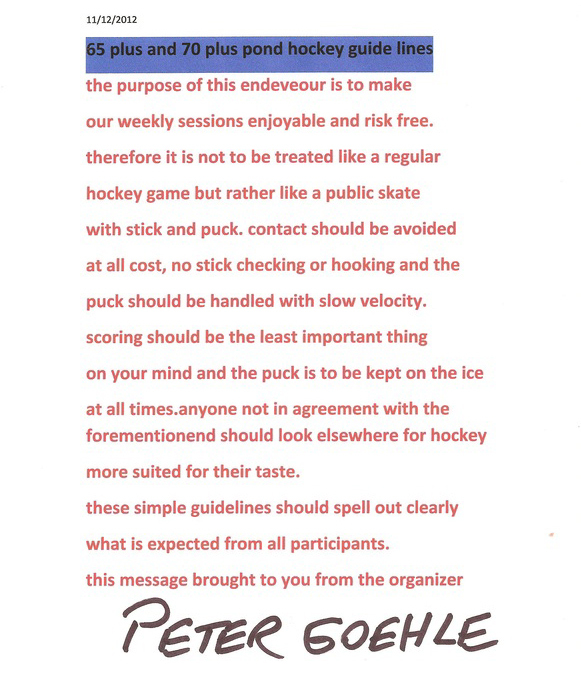 Peter Goehle is the organizer in the Niagara Region and in a sense, the mentor for those of us who like hockey and who want to play it sensibly as seniors.